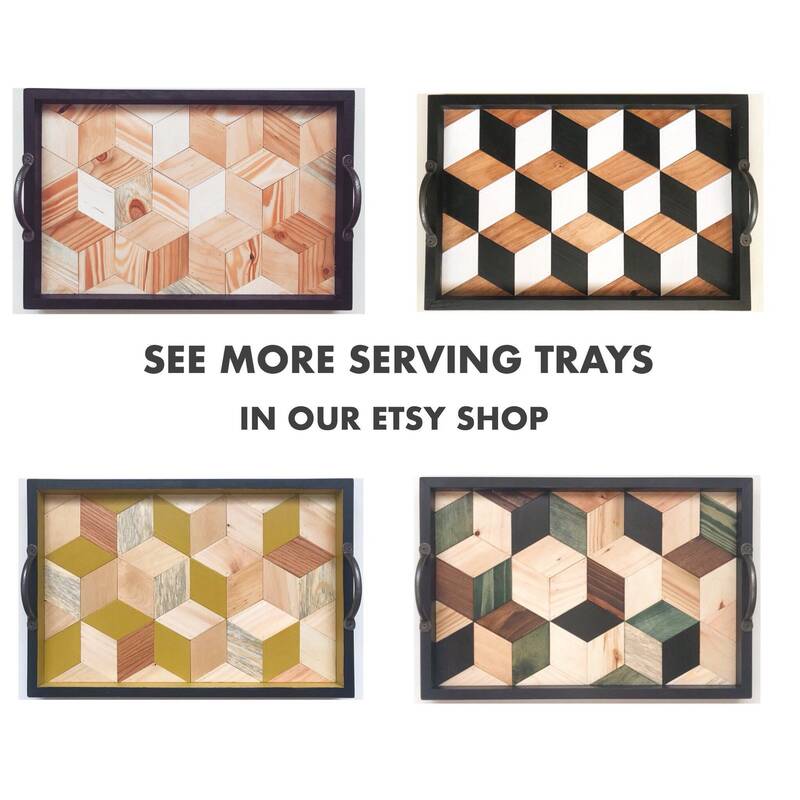 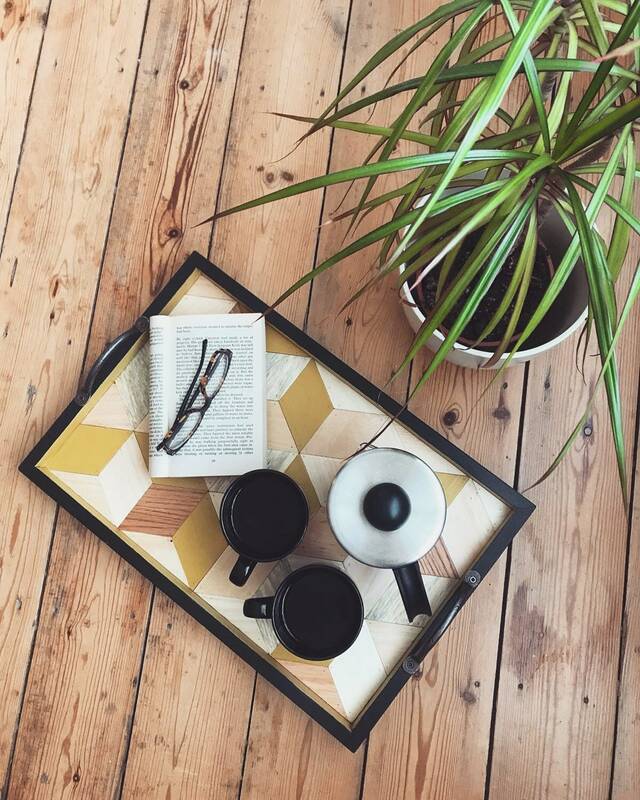 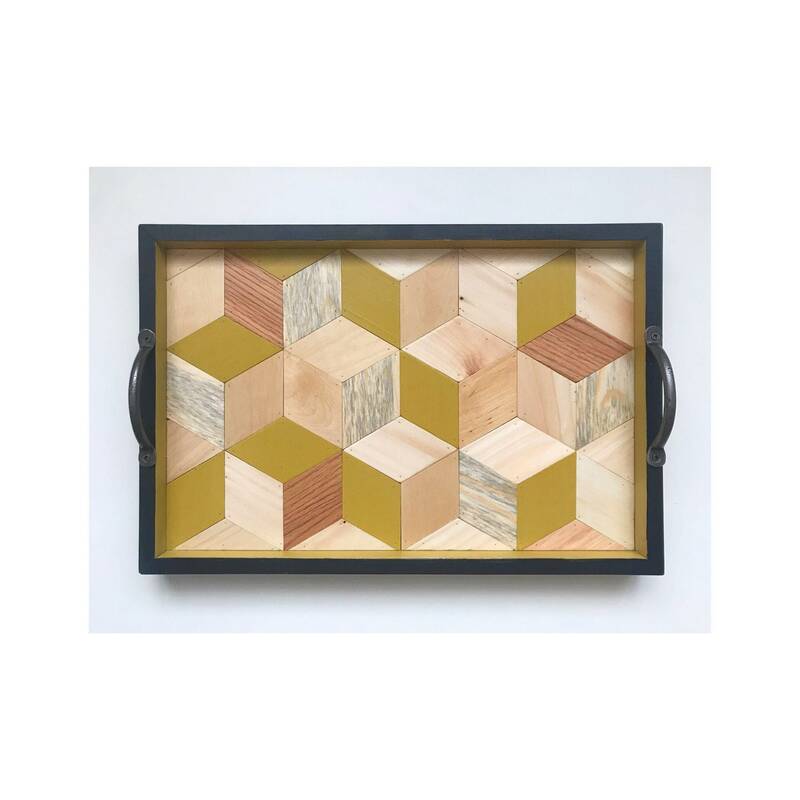 This tray is made with a geometric pattern with the shapes dyed in various different colours. 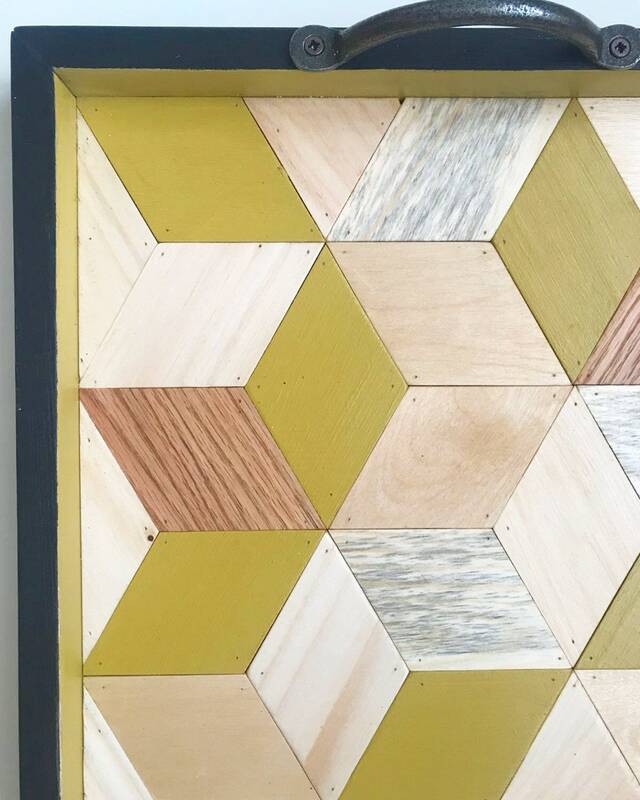 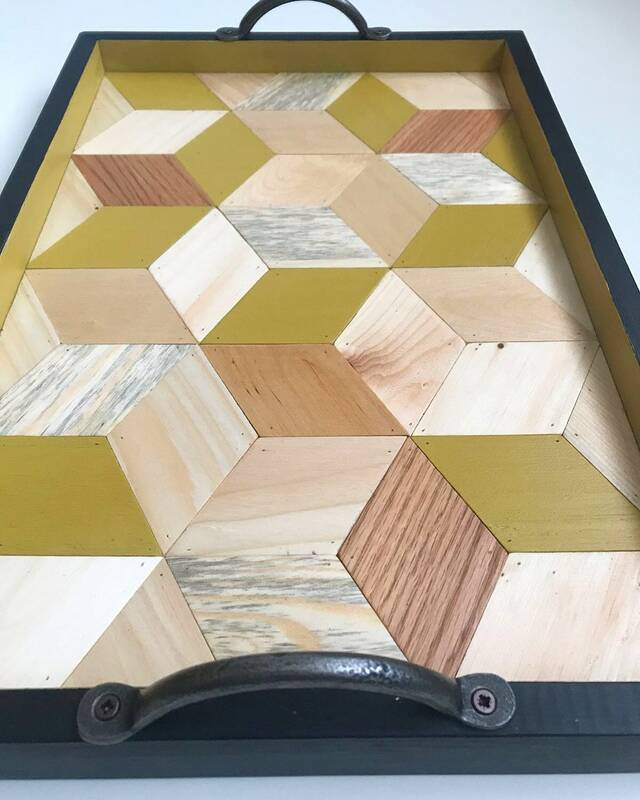 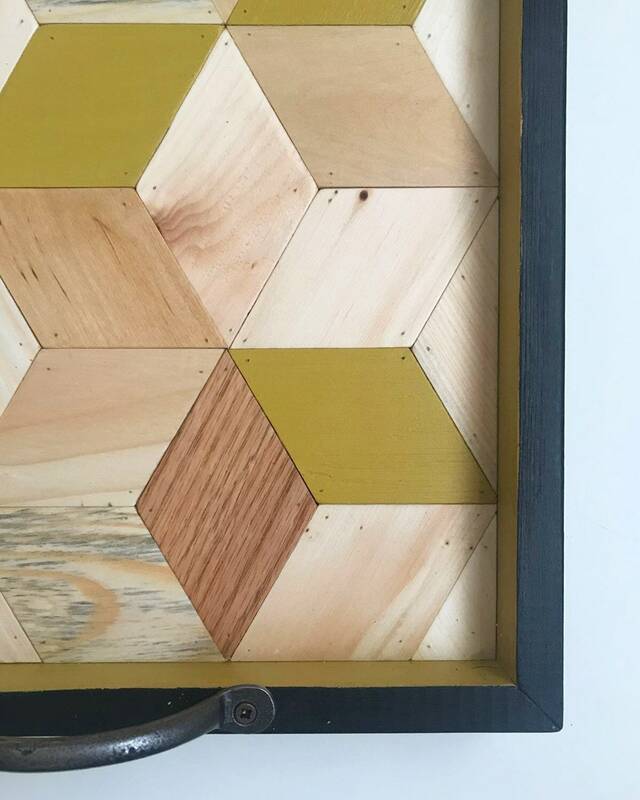 There is a mixture of natural wood and a beautiful mustard yellow resulting in a fabulous design. 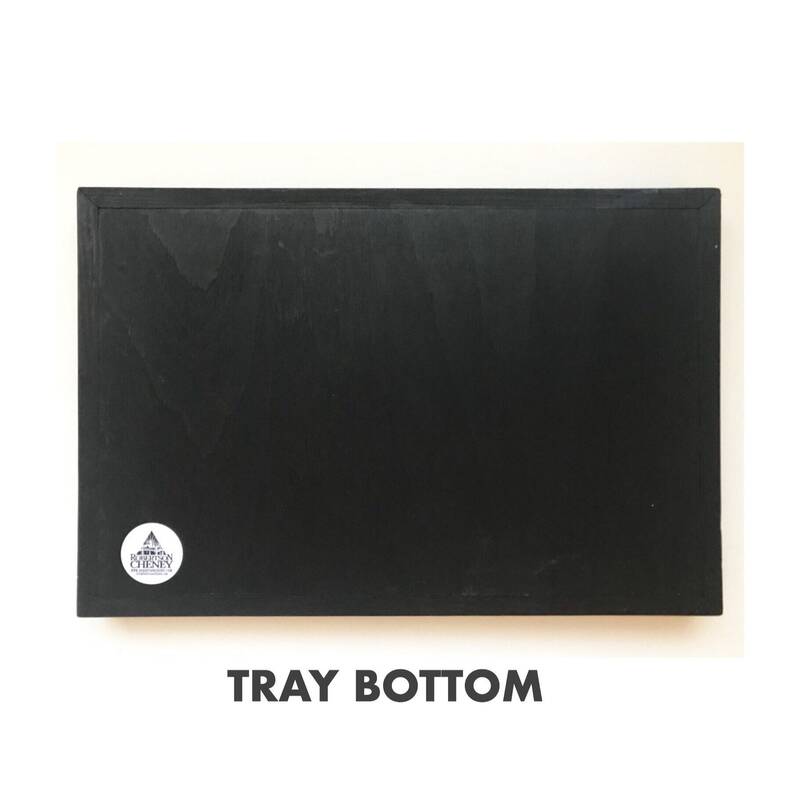 It is surrounded in a chunky frame where the top and sides of the tray are dyed black. 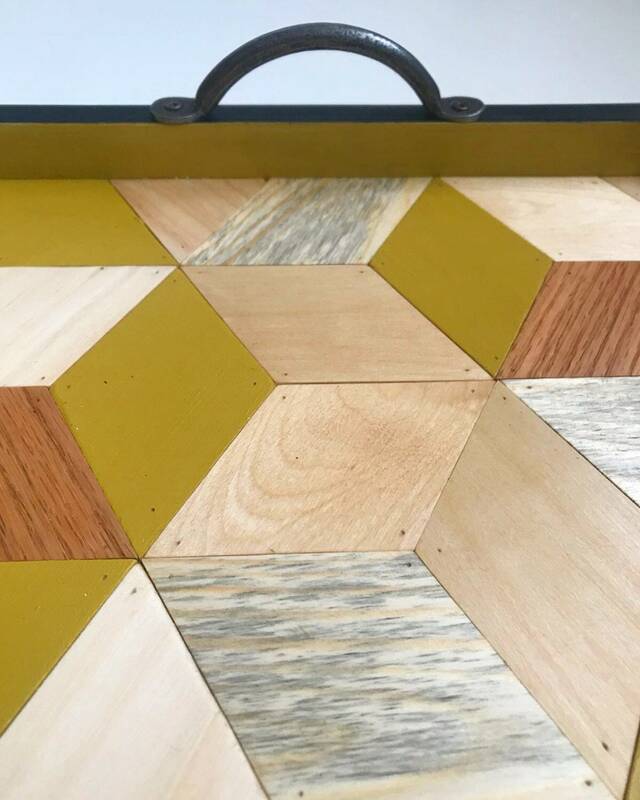 The handles are supplied by an independent metal worker based here in the UK. 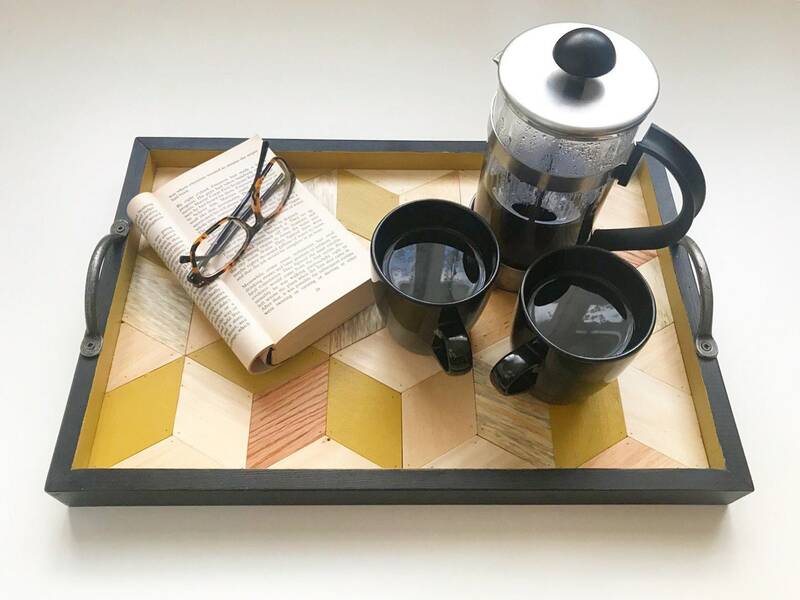 This is a lovely solid and great looking tray, decorative enough to display but also very practical in use. 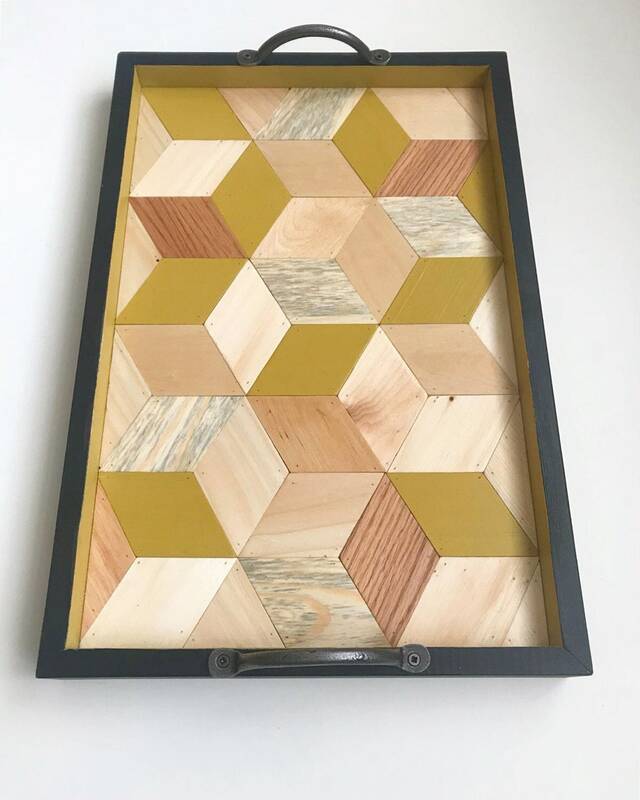 Beautifully made, shipped quickly & my friend that I gifted it to loved it!